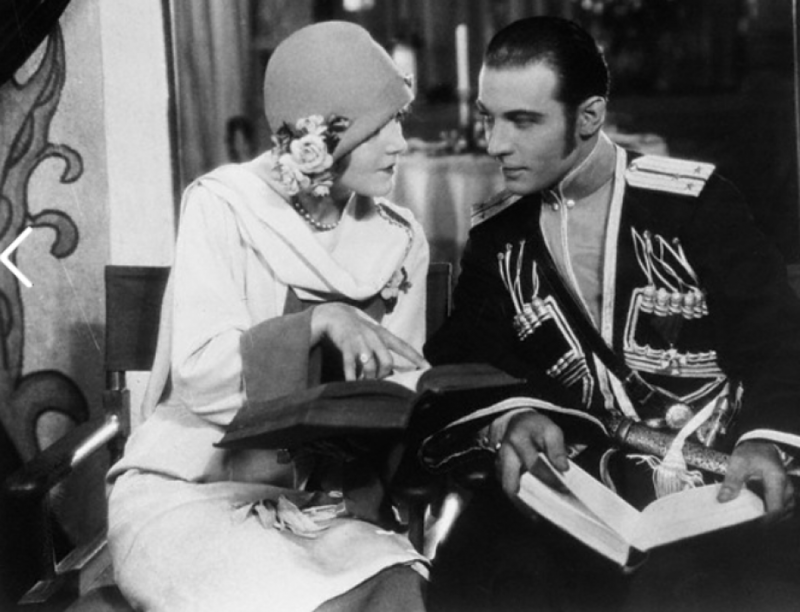 After all one need hardly be surprised to learn that Rudolph Valentino ostensibly the foremost lover of the so-called Silver Sheet, has blossomed into a poet and a physical trainer. Surely, all great lovers whether move or otherwise, are imbued with the spirit of poetry latent or actual. And as for the role of physical trainer well Valentino is five feet eleven and one half inches and weighs one hundred and sixty five pounds. Furthermore, he possesses the build of an athlete, although at our interview he was noticeably pale. Indeed beneath his eyes he has a purplish tint as if to accentuate the darkness of his orbs. Appareled in a blue serge suit a pleasingly tipped soft hat and sporting a cane and a pair of kid gloves. Valentino made an excellent appearance. Valentino came out with a pamphlet on “How You Can Keep Fit” and he posed for the illustrations . The noted sheik explains how you can attain and admirable body and illustrates by including a number of exercises. My interview with Valentino took place just before he sailed for Europe on the Leviathan. Innumerable women of all ages, some pretty some not so. “I love the poetry of D’Annunzio” began Valentino, who by the way, speaks with a slightly foreign accident. “And I like very much the poetry of Tennyson and Byron. I’m not to be considered a critic, but I like good poetry, whether it is old or new. There is good and bad poetry being printed today, just as there was in the old days. Asked whether or not another volume of his “Book of Day Dreams” would appear and he replied “ I hardly think so because I am very busy now you see. I wrote those poems in my spare minutes during the day but I don’t think I’ll have any more time for day dreaming”.